Consolidation of all grades K-12 into one building. Curriculum dictated all furniture be easily movable or on casters. 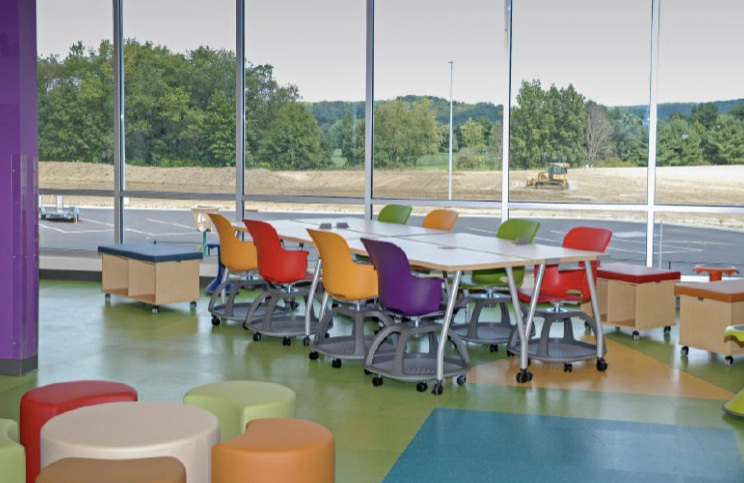 Extensive use of color to enliven all learning environments. 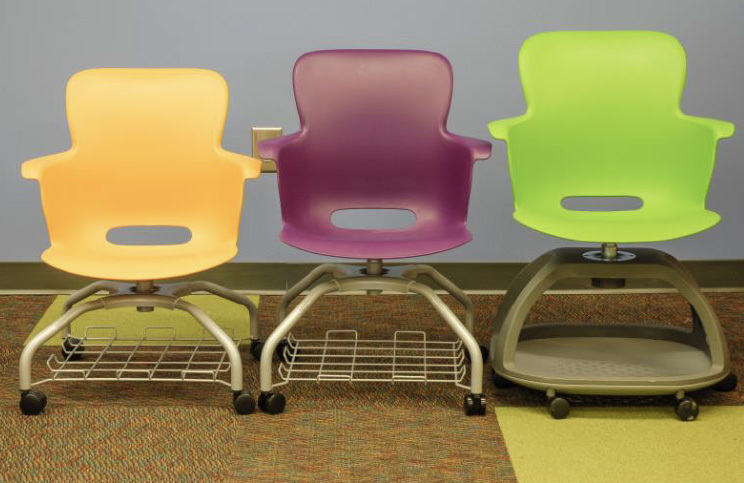 School chose combination of chairs and tables for all classroom environments. All “learning studios” flow out into extended learning environments. Beaver Local Schools was challenged with aging buildings across all their grade levels. Engagement with their architect and a consulting firm specializing in student centered learning models lead to the design of one new building encompassing all grade levels. 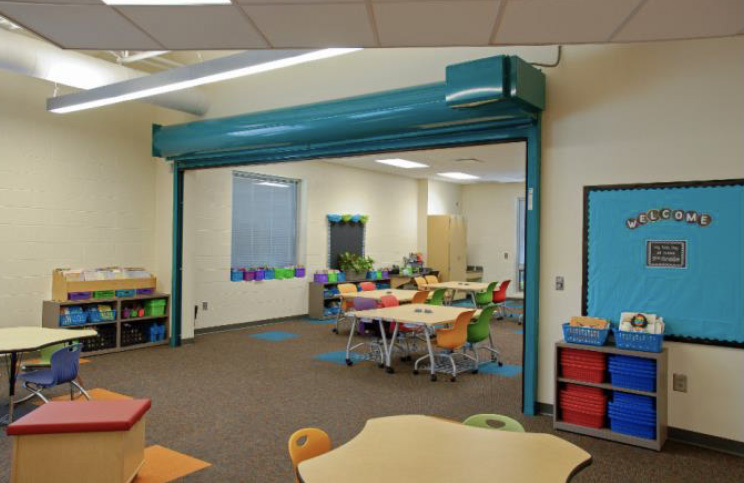 The traditional concept of classrooms were discarded in favor of “learning studios” that open via large metal garage doors to extended learning environments designed for collaboration / group work. Teachers work out of central hub zones sharing work space with other teachers and utilize multiple classrooms. Nontraditional height adjustable teachers ‘desks were designed into each classroom. 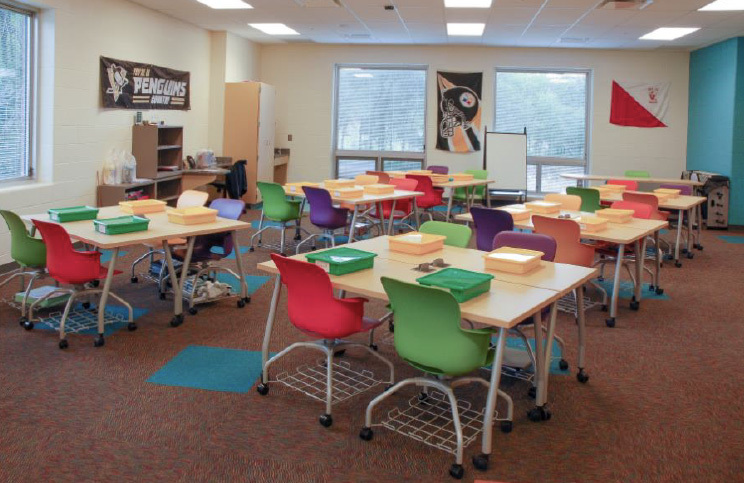 It was important that all 1800 students’ utilized active learning seating to support student centered curriculum.